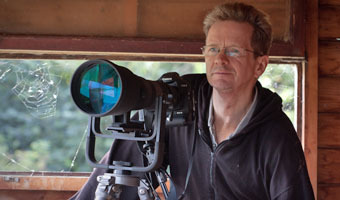 The London Daily Nature Photo blog was set up primarily as a personal challenge. Many of the daily entries on my other blog were centred around nature related photos and visitors sometimes seemed surpised to learn that these were taken in the environs of my home in the so-called dingy East End of London. So, I wondered, would it be possible to post one photo each day covering the nature I encounter within my beautiful home city? Well, if nothing else it would help me in getting out to photograph that nature even on days when perhaps I didn't really otherwise feel like it. Hope you enjoy viewing the photos as much as I'm sure I'll enjoy taking them. Nic Hamilton, London E10, UK, March 2007. Three years on and the name of the site has, somewhat belatedly, changed to "The London Nature Photo Blog". I managed posting a daily photo of London's nature for about eighteen months which was more than the initial challenge. Since then the postings have come more sporadic, particularly in the grey winter months. Being a Nature Photo site I suppose means that it's bound to be cyclic yet I hate repeating myself too much but since I do still want to post photos of London's nature for as long as I live here perhaps a name change is the best way to keep going. Nic Hamilton, London E10, UK, March 2010. All content and design is Copyright Nic Hamilton ©2007-2012. No use without permission.